Nee, de toegangskaarten zijn ten eerste te prijzig voor mij en bovendien zijn alle toegangskaarten al uitverkocht. Hier nog een beschouwing over wie Jeff Hawkins is. Hij is van een goed geboortejaar (niet mijn geboortejaar trouwens). xplosive schreef: Nee, de toegangskaarten zijn ten eerste te prijzig voor mij en bovendien zijn alle toegangskaarten al uitverkocht. Bij D666, een wat obscure politieke partij in ons land, schijnen ze een levensechte humanoïde robot in gebruik genomen te hebben. Robot Jetten! Heb je die al gezien?! Kan China de VS in de toekomst voorbij streven? The Israeli Air Force lost 102 planes during the 1973 Arab-Israeli War, most to Russian-built surface-to-air-missiles (SAMs). Russian air defenses swept the skies of the Middle East, which meant that they could sweep the European skies in a war with NATO. Added to the Warsaw Pact's massive conventional advantage in terms of tanks and troops, Russian air superiority guaranteed victory in any prospective war with NATO. That consideration launched Russia on a campaign of expansion that culminated in the December 1979 invasion of Afghanistan, and brought the world to the brink of World War III. Beating Russia wasn't easy. It took massive resources, inventiveness, and guts. When Reagan was president, the U.S. spent about 1.5 percent of GDP on "hard" R&D (= Research & Development), mostly military and space. Now the figure is half that, and most of the half goes to climate change, or to the F-35, the monster that ate the R&D budget. In 1981 America's top corporations maintained big research labs -- Bell, GE, RCA, Hughes, IBM, and many others. The Defense Advanced Research Projects Agency underwrote basic R&D and the private sector took the risk of commercialization. That was when America was great. The R&D budget is gone, and the corporate labs are gone. Just 7 percent of American undergraduates study engineering, vs. one of three in China. Our capacity to innovate won the Cold War. Russia's perceived advantage in air defense lasted just nine years. In 1982, Israel destroyed 82 Russian-built Syrian warplanes in Operation Mole Cricket (also known as the Bekaa Valley Turkey Shoot), with virtually no losses of its own. In 1973, six Israeli planes were lost attacking a single Syrian SAM installation. In 1982, the combination of suicide drones, look-down/shoot-down radar and AWAC control of the battlespace gave Israel a deadly advantage. Some of the technology was Israeli, but the backbone of the Israeli force was the F-15 equipped with look-down radar. That was the beginning of the end of the Cold War: if NATO controlled the skies, Russia could not hope to win a conventional war in Europe. The sclerotic Russian economy couldn't keep up with the Americans. But the speed with which America leapfrogged Russian air defense technology was remarkable. We changed the world in less than a decade. Such a victory would have been impossible without the new fast and light microchips that enabled the American-made fighters to carry sufficient onboard computing capacity for the new radar systems. The CMOS chips that powered the F-15’s lookdown radar (beginning in 1978) were manufactured for the first time only ten years earlier, and for entirely different reasons. Originally the Defense Advanced Research Projects Agency (DARPA) commissioned RCA researchers to manufacture fast and light chips for weather analysis. In fact, the definitive inventions of late twentieth century technology—laser-powered optical networks, fast and light integrated circuits, and the Internet—all came out of Defense Department projects whose originators could not have foreseen the impact of the new discoveries. The “Bekaa Valley Turkey Shoot” of 1982, as it came to be called, marked a decisive shift in the Cold War. In less than a decade, the American military (with some contributions from Israel) reversed what had appeared to be a decisive Soviet advantage in air combat and established overwhelming American superiority. By 1984, as Deputy Secretary Work commented, “Soviet Marshall Ogarkov famously said that reconnaissance strike complexes, the Soviet and Russian term for battle networks, could achieve the same destructive effects as low-yield tactical nuclear weapons.”2 The Soviet military concluded that it could never catch up to American avionics. That and the threat of the Strategic Defense Initiative persuaded Russia’s leaders that America would win a conventional war, which set in motion the collapse of Communism. Yes, Pope John Paul II of blessed memory and the heroic Poles fought Communism. Yes, the United States used the Helsinki accords on human rights to embarrass the brutal Moscow regime. Yes, we fought Russian proxies from Nicaragua to Afghanistan. That was all well and good, but none of it added up to victory. Victory comes when the enemy knows that you will grind him into paste on the sidewalk after breaking every bone in his body. The Russian generals and their Communist Party masters knew we had them by the throat after the Bekaa Valley Turkey Shoot, and Reagan's Strategic Defense Initiative told them that we would continue to move ahead of them, farther and faster. President Trump recognizes the Chinese threat, unlike his predecessors. But tariffs won't accomplish what the president wants to accomplish. I support him and want him to succeed, but he's using the wrong tools. It is well and good to protect our existing technology from Chinese predation. But the problem is NOT what the Chinese are doing, but we are AREN'T doing. We need to tilt incentives to STEM education, just as the Eisenhower Administration did after Sputnik in 1957. We need to focus resources on game-changing technologies (quantum computing, materials science, missile defense, anti-submarine warfare, semiconductor manufacturing, and others). We can complain all day about China subsidizing its industries but we can't really stop it from happening. What we CAN do is target innovations that will ruin China's massive investments in existing technologies. We need to FORCE the whole supply chain for sensitive defense technologies onshore. That will cost plenty. But national security is like J.P. Morgan's proverbial yacht: If you have to ask how much it costs, you can't afford it. We need to persuade the biggest corporations to restore their R&D capacity, by a combination of sticks and carrots. That may not be good for their stock price in the short term. But General Electric is a horrible example of what happens when "shareholder value" through financial engineering replaces fundamentals. One of my favorite films is 1999's "October Sky," about a group of West Virginia coal-town kids who built rockets right after the Sputnik shock. It's based on a true story. One of them went on to become a NASA scientist. That's when America was great -- when miners' kids aspired to be rocket scientists. Now we seem to aspire to more coal mining jobs. I'm all for a robust coal industry, and I support the president's efforts to revive the sector. But that's not American greatness. American greatness is expressed first of all by our capacity to innovate. On that, we will stand or fall. Tachyum Inc. was named the Slovakia National Winner in the Best AI Startup category at the Grand Finale Day of the Central European Startup Awards October 24 at the Palace of Culture and Science. The award recognizes Tachyum as among the best technology startups from around the world as part of the larger Global Startup Awards. The Best AI Startup was named for the company that has shown the greatest development over the past year based on growth, innovation and most-efficient and powerful application of deep tech/artificial intelligence/big data to reinvent how businesses and societies develop solutions to previously unsolvable problems. Tachyum was recognized for its Prodigy Universal Processor Chip, the smallest and fastest general purpose, 64-bit processor, requiring 10x less power and reducing server cost by 3x. Tachyum is developing very high-performance data processing chips in Europe and USA. The company’s co-founder and CEO, Dr. Radoslav Danilak was born and studied in Slovakia. He taught at the Technical University of Kosice, where he earned his PhD. Danilak serves on the Slovak government’s Innovation Advisory Board. The company recently opened its first European office in Slovakia to capitalize on the country’s growing economy with access to a large number of AI and software developers, as well as hardware engineers. Tachyum is currently building strategic relationships with EU partners that will enable the EU to exploit the unprecedented capabilities of the company’s Prodigy Universal Processor Chip. Tachyum’s Prodigy reduces server cost and power needs through new proprietary software that has made many parts of the hardware found in a typical processor redundant. Shorter wires, due to a smaller core, translates into much greater speed for the processor. The ultra-low power Prodigy processor, will allow system integrators to build a 32 Exaflops AI supercomputer. This will enable users to simulate, in real-time, human brain-sized Neural Networks beginning in 2020, instead of 2028. Er bestaat in de wereld nu nog niet eens een supercomputer met 1 exaflop. Dus een 32 exaflop supercomputer in 2020 is duizelingwekkend! In Slowakije investeren ze blijkbaar beter in (waarschijnlijk ook niet politiek-correct) onderwijs en techniek dan in Nederland! Researchers have developed catalysts that can convert carbon dioxide—the main cause of global warming—into plastics, fabrics, resins, and other products. The electrocatalysts are the first materials, aside from enzymes, that can turn carbon dioxide and water into carbon building blocks containing one, two, three, or four carbon atoms with more than 99 percent efficiency. Two of the products—methylglyoxal (C3) and 2,3-furandiol (C4)—can be used as precursors for plastics, adhesives, and pharmaceuticals. Toxic formaldehyde could be replaced by methylglyoxal, which is safer. The discovery, based on the chemistry of artificial photosynthesis, is detailed in the journal Energy & Environmental Science. "Our breakthrough could lead to the conversion of carbon dioxide into valuable products and raw materials in the chemical and pharmaceutical industries," says senior author Charles Dismukes, a professor in the chemistry and chemical biology department and the biochemistry and microbiology department at Rutgers University–New Brunswick. He is also a principal investigator at Rutgers' Waksman Institute of Microbiology. Previously, scientists showed that carbon dioxide can be electrochemically converted into methanol, ethanol, methane, and ethylene with relatively high yields. But such production is inefficient and too costly to be commercially feasible, according to lead author Karin Calvinho, a chemistry doctoral student. Using five catalysts made of nickel and phosphorus, which are cheap and abundant, however, researchers can electrochemically convert carbon dioxide and water into a wide array of carbon-based products, she says. The choice of catalyst and other conditions determine how many carbon atoms can be stitched together to make molecules or even generate longer polymers. In general, the longer the carbon chain, the more valuable the product. The next step is to learn more about the underlying chemical reaction, so it can be used to produce other valuable products such as diols, which are widely used in the polymer industry, or hydrocarbons that can be used as renewable fuels. The researchers are designing, building, and testing electrolyzers for commercial use. Based on their work, the researchers have earned patents for the electrocatalysts and formed RenewCO₂, a start-up company. The research has been published in the journal Energy & Environmental Science. This article was first published on Futurity and is republished here under a CC BY 4.0 license. Read the original article. If NASA’s stunning landing of a car-sized robot on Mars didn’t already whet your appetite for space exploration this week, mark your calendar for 2 p.m. EST on Thursday. That’s when NASA plans to give an update about a program that aims to land privately developed spacecraft on the moon. 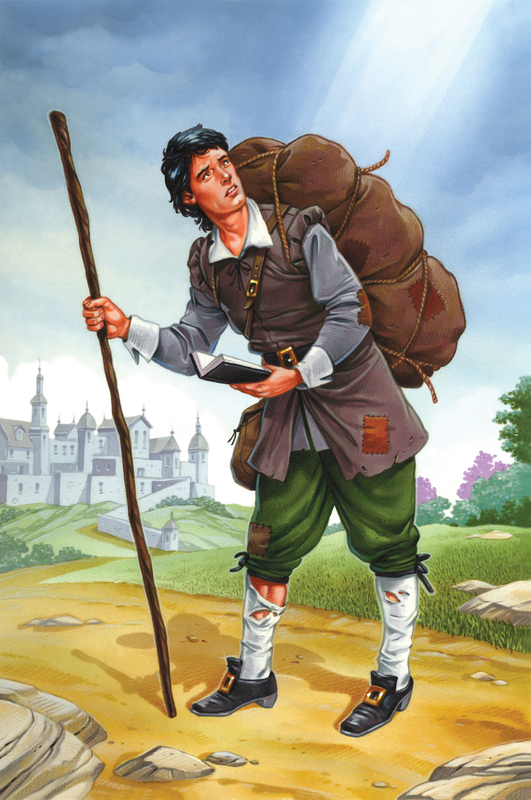 Pilgrim schreef: Terug naar de maan...? 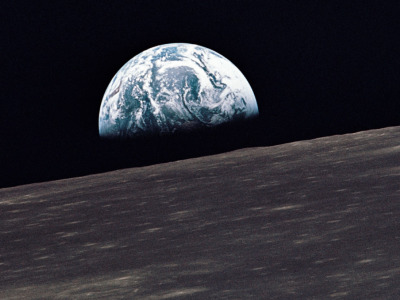 Bedenk dat je op de maan een ruimtestation kan oprichten waar vandaan grotere objecte de ruimte in geschoten kunnen worden door het geringere zwaartekrachtsveld van de maan. The ability to send thoughts directly to another person’s brain is the stuff of science fiction. At least, it used to be. In recent years, physicists and neuroscientists have developed an armory of tools that can sense certain kinds of thoughts and transmit information about them into other brains. That has made brain-to-brain communication a reality. These tools include electroencephalograms (EEGs) that record electrical activity in the brain and transcranial magnetic stimulation (TMS), which can transmit information into the brain. In 2015, Andrea Stocco and his colleagues at the University of Washington in Seattle used this gear to connect two people via a brain-to-brain interface. The people then played a 20 questions–type game. An obvious next step is to allow several people to join such a conversation, and today Stocco and his colleagues announced they have achieved this using a world-first brain-to-brain network. The network, which they call BrainNet, allows a small group to play a collaborative Tetris-like game. “Our results raise the possibility of future brain-to-brain interfaces that enable cooperative problem-solving by humans using a ‘social network’ of connected brains,” they say. The technology behind the network is relatively straightforward. EEGs measure the electrical activity of the brain. They consist of a number of electrodes placed on the skull that can pick up electrical activity in the brain. A key idea is that people can change the signals their brain produces relatively easily. For example, brain signals can easily become entrained with external ones. So watching a light flashing at 15 hertz causes the brain to emit a strong electrical signal at the same frequency. Switching attention to a light flashing at 17 Hz changes the frequency of the brain signal in a way an EEG can spot relatively easily. TMS manipulates brain activity by inducing electrical activity in specific brain areas. For example, a magnetic pulse focused onto the occipital cortex triggers the sensation of seeing a flash of light, known as a phosphene. Together, these devices make it possible to send and receive signals directly to and from the brain. But nobody has created a network that allows group communication. Until now. Stocco and his colleagues have created a network that allows three individuals to send and receive information directly to their brains. They say the network is easily scalable and limited only by the availability of EEG and TMS devices. The two senders, wearing EEGs, can both see the full screen. The game is designed so the shape of the descending block fits in the bottom row either if it is rotated by 180 degrees or if it is not rotated. The senders have to decide which and broadcast the information to the third member of the group. To do this, they vary the signal their brains produce. If the EEG picks up a 15 Hz signal from their brains, it moves a cursor toward the right-hand side of the screen. When the cursor reaches the right-hand side, the device sends a signal to the receiver to rotate the block. The senders can control their brain signals by staring at LEDs on either side of the screen—one flashing at 15 Hz and the other at 17 Hz. Having received data from both senders, the receiver performs the action. But crucially, the game allows for another round of interaction. The senders can see the block falling and so can determine whether the receiver has made the right call and transmit the next course of action—either rotate or not—in another round of communication. This allows the researchers to have some fun. In some of the trials they deliberately change the information from one sender to see if the receiver can determine whether to ignore it. That introduces an element of error often reflected in real social situations. But the question they investigate is whether humans can work out what to do when the data rates are so low. It turns out humans, being social animals, can distinguish between the correct and false information using the brain-to-brain protocol alone. That’s interesting work that paves the way for more complex networks. The team says the information travels across a bespoke network set up between three rooms in their labs. However, there is no reason why the network cannot be extended to the Internet, allowing participants around the world to collaborate. The system allows emission of heat at mid-infrared range of light that can pass straight out through the atmosphere and radiate into the cold of outer space, punching right through the gases that act like a greenhouse. To prevent heating in the direct sunlight, a small strip of metal suspended above the device blocks the sun's direct rays. The new system is described this week in the journal Nature Communications in a paper by research scientist Bikram Bhatia, graduate student Arny Leroy, professor of mechanical engineering and department head Evelyn Wang, professor of physics Marin Soljacic, and six others at MIT. In theory, the system they designed could provide cooling of as much as 20 degrees Celsius (36 degrees Fahrenheit) below the ambient temperature in a location like Boston, the researchers say. So far, in their initial proof-of-concept testing, they have achieved a cooling of 6 C (about 11 F). For applications that require even more cooling, the remainder could be achieved through conventional refrigeration systems or thermoelectric cooling. But it turns out that similar selectivity can be achieved by simply blocking the direct sunlight with a narrow strip placed at just the right angle to cover the sun's path across the sky, requiring no active tracking by the device. Then, a simple device built from a combination of inexpensive plastic film, polished aluminum, white paint, and insulation can allow for the necessary emission of heat through mid-infrared radiation, which is how most natural objects cool off, while preventing the device from being heated by the direct sunlight. In fact, simple radiative cooling systems have been used since ancient times to achieve nighttime cooling; the problem was that such systems didn't work in the daytime because the heating effect of the sunlight was at least 10 times stronger than the maximum achievable cooling effect. But the sun's heating rays travel in straight lines and are easily blocked—as we experience, for example, by stepping into the shadow of a tree on a hot day. By shading the device by essentially putting an umbrella over it, and supplementing that with insulation around the device to protect it from the ambient air temperature, the researchers made passive cooling more viable. "We built the setup and did outdoors experiments on an MIT rooftop," Bhatia says. "It was done using very simple materials" and clearly showed the effectiveness of the system. "It's kind of deceptively simple," Wang says. "By having a separate shade and an emitter to the atmosphere—two separate components that can be relatively low-cost—the system doesn't require a special ability to emit and absorb selectively. We're using angular selectivity to allow blocking the direct sun, as we continue to emit the heat-carrying wavelengths to the sky." This project "inspired us to rethink about the usage of 'shade,'" says Yichen Shen, a research affiliate and co-author of the paper. "In the past, people have only been thinking about using it to reduce heating. But now, we know if the shade is used smartly together with some supportive light filtering, it can actually be used to cool the object down," he says. One limiting factor for the system is humidity in the atmosphere, Leroy says, which can block some of the infrared emission through the air. In a place like Boston, close to the ocean and relatively humid, this constrains the total amount of cooling that can be achieved, limiting it to about 20 degrees Celsius. But in drier environments, such as the southwestern U.S. or many desert or arid environments around the world, the maximum achievable cooling could actually be much greater, he points out, potentially as much as 40 C (72 F). While most research on radiative cooling has focused on larger systems that might be applied to cooling entire rooms or buildings, this approach is more localized, Wang says: "This would be useful for refrigeration applications, such as food storage or vaccines." Indeed, protecting vaccines and other medicines from spoilage in hot, tropical conditions has been a major ongoing challenge that this technology could be well-positioned to address. Even if the system wasn't sufficient to bring down the temperature all the way to needed levels, "it could at least reduce the loads" on the electrical refrigeration systems, to provide just the final bit of cooling, Wang says. As they continue to work on improving the system, the biggest challenge is finding ways to improve the insulation of the device, to prevent it from heating up too much from the surrounding air, while not blocking its ability to radiate heat. "The main challenge is finding insulating material that would be infrared-transparent," Leroy says. The team has applied for patents on the invention and hope that it can begin to find real-world applications quite rapidly. A fungus that can “eat” plastic has been discovered in Pakistan. This discovery could tackle the growing plastic problem the planet is currently facing, by cutting the lifespan of plastic from up to 1000 years, to just weeks. In 1950, the world’s population of 2.5 billion produced 1.5 million tons of plastic; in 2016, a global population of more than 7 billion people produced over 320 million tons of plastic. This is set to double by 2034. Every day approximately 8 million pieces of plastic pollution find their way into our oceans. There may now be around 5.25 trillion macro and microplastic pieces floating in the open ocean. Weighing up to 269,000 tonnes. It takes anywhere from a decade to 1000 years for plastics to properly degrade, so you can see how this is a problem that needs to be given attention before it is too late. Cue Aspergillus tubingensis, a fungus that has been shown in a recent study to break down chemical bonds in plastic. In lab experiments, researchers found this unique fungus has the ability to feed off of plastic. The experiments were published by Environmental Pollution, via ScienceDirect. They found that when the fungus is introduced to polyester polyurethane plastic, the mycelium caused degradation and scarring. 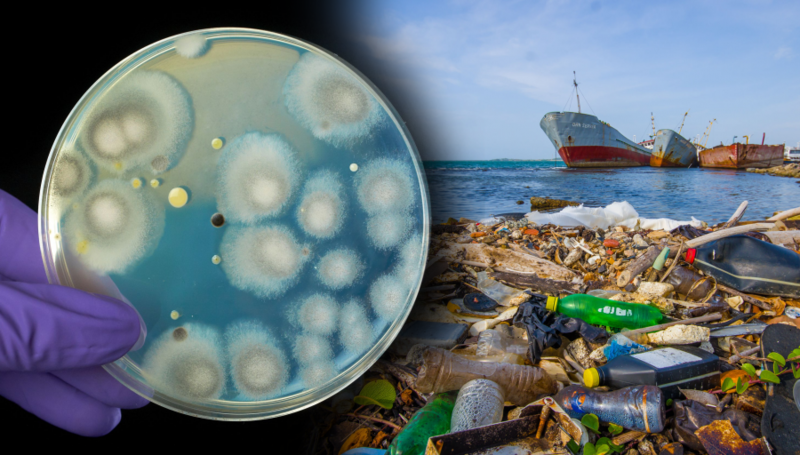 The Pakistan study has shown that fungi could be “developed into one of the tools desperately needed to address the growing environmental problem of plastic waste” Fungi also has the ability to feed on pollutants such as oil, toxic chemicals, and even radioactive waste. I’m Luke Miller the author of this article. I am a writer, numerologist, spiritual coach and founder of Potential For Change. I like to blend psychology and spirituality to help you create more balance in your life. Grab a copy of my free 33 Page Illustrated eBook- Psychology Meets Spirituality- Secrets To A Supercharged Life You Control here! Het ruimtevliegtuig SpaceShipTwo van ruimtevaartbedrijf Virgin Galactic heeft donderdag een vlucht naar het grensgebied van de ruimte voltooid. De VSS Unity, zoals het model van de SpaceShipTwo heet, bereikte een hoogte van 82,7 kilometer, maakte Virgin Galactic bekend. Dat is nog onder de Kármánlijn, de grens van 100 kilometer waar luchtvaart ophoudt en ruimtevaart begint. De grens van 80 kilometer boven de aarde is wel genoeg om door de Amerikaanse overheid erkend te worden als ruimtevaarder. Op dat punt is het ook mogelijk om gewichtloosheid te ervaren. De SpaceShipTwo werd rond 17.00 uur Nederlandse tijd losgekoppeld van het moederschip. Kort daarna bereikte het ruimtevliegtuig een snelheid van 1.715 kilometer per uur. Dit liep binnen enkele minuten op naar zo'n 3.550 kilometer per uur, bijna drie keer de geluidssnelheid. Rond 17.15 uur Nederlandse tijd landde de SpaceShipTwo op het Mojave Air and Space Port in de Amerikaanse staat Californië. De mijlpaal van Virgin Galactic vindt ruim vier jaar na een dodelijk ongeval met de SpaceShipTwo plaats. In oktober 2014 stortte een eerdere versie, de VSS Enterprise, neer in de Mojavewoestijn, waarbij één piloot om het leven kwam. Uiteindelijk wil Virgin Galactic de SpaceShipTwo gebruiken om toeristen een reis naar de ruimte aan te bieden. Het bedrijf krijgt daarvoor onder meer competitie van Blue Origin en SpaceX. Er was, naast twee piloten, ook een mannequin aan boord. The rocket carried two pilots and a mannequin named Annie as a stand-in passenger, as well as four research experiments for NASA. Kijk, de zoveelste fantasie over een vliegende auto. En zo ziet die er in werkelijkheid uit nadat hij was los gekomen van de grond. [...]Tijdens het vliegen komt een conventionele motor kijken. Dat exemplaar heeft 101 pk en genereert een kruissnelheid van 200 kilometer per uur en heeft 640 kilometer bereik. Een auto in de lucht houden gaat alleen via de wet van actie en reactie. Dus raketstuwing, straalmotoren of propellers. Een helicopter heeft 300W per kilogram nodig. 1 pk is ongeveer 750 Watt. Wel, hij kwam in ieder geval van de grond. Zij het per ongeluk. Imagine boarding a plane to travel halfway around the world—a journey that would take about 20 hours in a 747. But you reach your destination in a mere four hours, thanks to a hypersonic flight traveling at speeds in excess of Mach 5. This may sound like science fiction, but such travel will soon be an economical reality powered by SABRE engines. SABRE™ —Synergetic Air Breathing Rocket Engine—is a new class of engine under development for propelling both high-speed aircraft and spacecraft. SABRE engines are unique in delivering the fuel efficiency of a jet engine with the power and high-speed ability of a rocket. Unlike jet engines, which are only capable of propelling a vehicle up to Mach 3, three times the speed of sound, SABRE engines are capable of Mach 5.4 in air-breathing mode—for traveling around the globe, and Mach 25 in rocket mode—allowing orbital access. What’s more, SABRE’s blend of traditional jet engine mechanics and rocket propulsion allows for horizontal take-off and landings, enabling future spaceports to accommodate the next generation of aircraft and spacecraft. 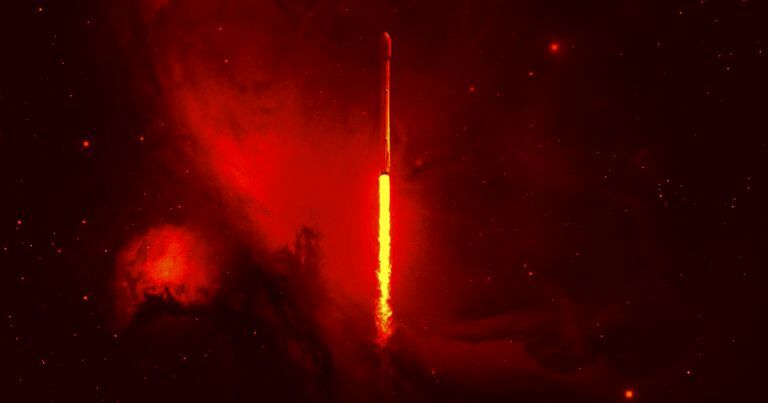 And, while most rockets are good only for a single use, SABRE’s unique design permits it to come back to Earth to power another flight—again and again. Central to the SABRE design is the breakthrough in aerospace engine technology Reaction Engines has achieved by developing ultra-lightweight heat exchangers (pre-cooler), which stop engine components overheating at high flight speeds. The journey to this ground-breaking technology began many years ago in the mind’s eyes of a few R&D experts at Reaction Engines. But before the true wizardry could begin, these visionary inventors needed to design a prototype to prove the possibility of an entirely new method of propulsion. The first step was identifying ultra-lightweight yet strong metals and materials, then determining how to join them together. This one-of-a-kind engine would require metals with a dramatically different metallurgy and an extraordinary thermal cycle to prepare those materials to withstand extreme circumstances. Through more than 700 tests, the SABRE inventors proved out their principles while defining—and refining—the meticulous process needed to produce a viable engine concept. As Reaction Engines calculated the process and equipment required for this undertaking, one thing became clear. Manufacturing the engine’s pre-cooler—a complex system of ultra-fine but incredibly robust metal tubes—would require a highly specialized furnace: one that could precisely control a meticulous brazing process to succeed with a decidedly unique form, geometry and metallurgy. SABRE will consist of three key elements: the pre-cooler, the engine core, and the thrust chamber. The pre-cooler, essential to achieving speeds of Mach 5 and greater, is composed of thousands of thin-walled tubes that carry coolant. It’s an intricate system: Approximately two thousand kilometers of microfine tubing, with wall thicknesses half the width of a human hair. And every joint must be hermetically sealed, enabling the pre-cooler to reduce air temperature from 1,000° C to -150°C in a fraction of a second. This process pulls energy from the air at a rate of approximately 400 MW —the equivalent of a small power station! After outlining precise specifications, identifying optimal materials and metallurgy, and mapping out a never-before-attempted thermal process, Reaction Engines turned to Consarc Engineering Ltd. Consarc Engineering Ltd, a subsidiary of USA based Consarc Corporation, is an Inductotherm Group Company with a half-century of experience in vacuum and controlled atmosphere melting. Consarc Engineering Ltd, was the only partner in the UK capable of designing and manufacturing a custom furnace to satisfy this customer’s extraordinary needs. In addition to decades of valuable expertise, Consarc Engineering Ltd offered a robust R&D team, staff engineers, technical consultants and installation experts to design custom furnace technology to meet Reaction’s specific, unprecedented requirements. Everything about the furnace, from its vacuum capability to its temperature control, was precisely calculated with virtually no margin for error to ensure exact, repeatable results—something no existing furnace could come close to doing. Something only a true master of the trade could accomplish. And so, a project that began as a small team experiment at Reaction Engines grew six-fold, as the Consarc team of professionals identified and presented several possible solutions. As plans for the furnace grew, so did its group of experts; the engineering, manufacturing and installation teams at Consarc’s UK facility all played a critical role in the design and construction of Reaction’s custom equipment. The result of their collaboration is a one-of-a-kind Vaccum Brazing Furnace that can quickly and accurately heat and cool modular assemblies containing large quantities of extremely delicate tubing—all within highly controlled and consistently repeatable conditions. The furnace’s hot zone charge size is one of the largest of its kind in the world, measuring 2.5m in diameter and 1.5m high. The sheer size ensures that the furnace will accommodate not only the pre-cooler’s test components, but also the sections that will ultimately comprise the full-scale production version of SABRE. With a fully customized Consarc vacuum brazing furnace installed onsite, Reaction Engines spent several years refining the fastidious manufacturing process required to produce the heat exchanger technology which will be the fore-runner of the final SABRE pre-cooler. SABRE’s modular design allows each component to be built and ground-tested independently. Testing of representative technology (known as HTX) will begin in late 2018 at a soon-to-be-completed test facility at Front Range Airport near Watkins, Colorado. Testing at this facility will simulate the high temperature airflow conditions SABRE will experience at Mach 5 and validate the performance of the pre-cooler technology. At a separate testing facility also under construction in Westcott, Buckinghamshire, UK, the Reaction team will begin testing from 2020 to assess critical subsystems and the SABRE engine core. Once all these ground tests pass muster, the process with continue, to enable SABRE to take to the skies, powering a flight test vehicle and making aviation history. Reaction Engines will revolutionize air travel. Powering the next generation of aircraft, from defense applications to commercial flights, SABRE will enable more efficient travel, reaching speeds twice that of today’s traditional jet engines. And, with its dual functionality, this new breed of engine will operate not just in Earth’s atmosphere, but beyond it—making access to space far more economical; which ultimately will underpin increasingly ambitious possibilities for space travel. Learn more about the revolutionary SABRE at ReactionEngines.co.uk. For more information about Consarc Engineering’s technologies, visit consarceng.com. To find out how Inductotherm Group can help you bring heat to metal, visit InductothermGroup.com. Why it matters: As the quantum future looms closer, hundreds if not thousands of companies and research groups race towards constructing the first quantum computer that can outperform traditional supercomputers. 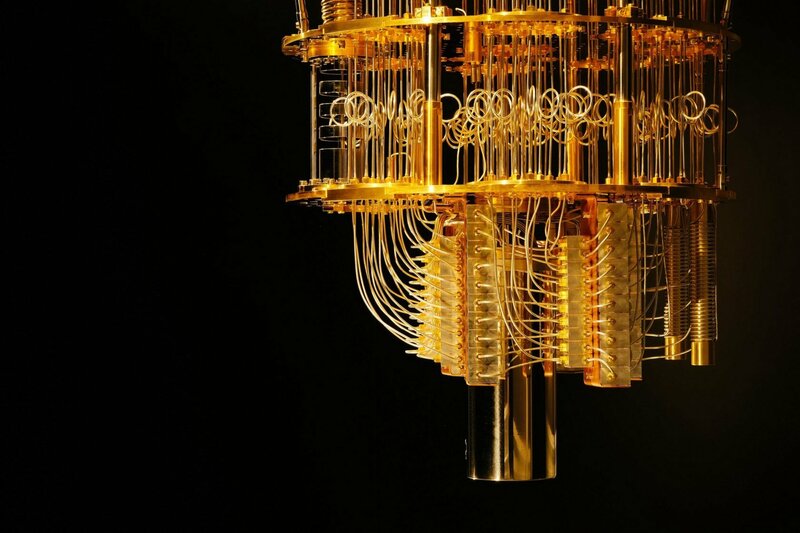 However, the competition is not just between organizations, it’s also between competing methods of quantum computing. IonQ was founded on a gamble that 'trapped ion quantum' computing could outperform the silicon-based quantum computers that Google and others are building. As of right now, it does. IonQ has constructed a quantum computer that can perform calculations on a 79-qubit array, beating the previous king Google’s efforts by 7 qubits. Their error rates are also the best in the business, with their single-qubit error rate at 99.97% while the nearest competitors are around the 99.5 mark, and a two-qubit error rate of 99.3% when most competitors are beneath 95%. But how does it compare to regular computers? According to IonQ, in the kinds of workloads that quantum computers are being built for, it’s already overtaking them. The Bernstein-Vazirani Algorithm, a benchmark IonQ is hoping will take off, tests a computer’s ability to determine a single encoded number (called an oracle) when the computer can only ask a single yes/no question. When the algorithm is run for every number between 1 and 1023, a conventional computer gets a 0.2% success rate. IonQ’s quantum computer gets a 79% success rate. All quantum computers “isolate and manipulate quantum systems to create quantum versions of computer bits, called qubits” reads IonQ’s website. Quantum computers replace the traditional 0 or 1 logic gates processors rely on and replace them with 0 and 1 quantum gates, which are simultaneously 0 and 1 during calculations but output 0 or 1. This funky math has the potential to reinvent computing in fields like chemistry, medicine, energy, logistics and future fields like AI. The specific 'trapped ion technology' the IonQ’s quantum computer relies on replaces the supercooled silicon that Google, IBM and Rigetti use with ytterbium, a silvery rare earth metal. The ionized ytterbium is suspended in an oscillating electromagnetic field, where it’s manipulated by engineers who program the lasers that input, store and retrieve information. While 'trapped ion' quantum computing still has some hurdles to overcome, namely slow operation times and massive sizes, the accuracy and scalability of the technology means that IonQ will be letting companies use its computer sometime next year. It’s also got a peer-reviewed journal article on the developments that will be published in the coming months. Quantum supremacy, the moment that the best quantum computer is better than the best traditional computer, is approaching rapidly. While even IonQ will admit that they don’t know what the “killer app of quantum computers” is yet, it doesn’t seem like it’ll be too long before we're all taking it for granted. Autofabrikant Hyundai heeft een autosysteem gemaakt, waarmee bestuurders hun auto kunnen openen en starten zonder sleutels te gebruiken. Het systeem wordt in het Santa Fe-model van Hyundai geïnstalleerd, schrijft ZDNet. Aanvankelijk kunnen alleen Chinese gebruikers met de vingerafdrukscanner aan de slag. Dat is vanaf het eerste kwartaal van 2019 mogelijk. Autobezitters kunnen hun vingerafdruk vooraf instellen. Dat kunnen meerdere bestuurders van een auto doen. In de deurhendel is een vingerafdrukscanner gebouwd, die versleutelde data naar het systeem in de auto stuurt. Komen de afdrukken overeen, dan gaat de deur open. De scanner herkent de bestuurder en past daar vervolgens de auto-instellingen op aan. Zo wordt de stoel versteld en wordt de positie van spiegels aangepast. Ook is de vingerafdrukscanner toegevoegd aan de startknop. Daarmee kan de auto gestart worden en kan de bestuurder wegrijden. Het is niet duidelijk wanneer het systeem in andere landen in auto's van Hyundai wordt gezet. Vingerafdrukscanners zijn al sinds 1999 in auto's te vinden. Daarbij ging het jarenlang om zogeheten concept cars, die niet daadwerkelijk op de weg te vinden waren. Bentley levert sinds kort in de Bentaya SUV een kluisje dat alleen met een vingerafdruk te openen is. Zouden er in China veel autodiefstallen zijn? Ik denk het niet. Dus zal zo'n vingerscanner wel bruikbaar zijn. In andere streken van de wereld met veel meer criminaliteit, ik denk aan Zuid-Afrika en Brazilië in dit verband, is dit ronduit gevaarlijk. Dan hakken ze je vinger af om er met de auto vandoor te gaan. The first U.S. Space Command was founded in 1985 and disbanded in 2002. The idea is to “streamline command and control of time-sensitive operations” and “consolidate space operations under a single authority” under a newly created Space Command, according to CNN. It could also be a response to what news outlets have called a “space arms race.” U.S. politicians have raised concerns, for example, over world powers like China and Russia developing possible anti-satellite technology. The Trump Administration has been advocating for a “Space Force” — an all-out military branch — since President Trump first introduced the concept back in March. The Space Command could be laying the groundwork for the Space Force. It’ll be cheaper, for one thing: the AP reports it’ll cost just $800 million over five years, compared to a projected $13 billion for the Space Force over the same period. The executive order could also be a concession to political reality. Congress’s Spending Bill for 2019 didn’t include any funding for a Space Force, so it will be at least a year until we could see such a branch created under the U.S. military’s command. And the new Space Command won’t be the first in the U.S: the country founded its first Space Command in 1985, the AP pointed out, which was disbanded in 2002 in the aftermath of the 9/11 terrorist attacks, when attention was refocused to homeland security. While current therapies can have increasingly severe side effects, this one is administered only once. Credit: Getty Images. It neutralized not only the tumor it was injected into but malignancies all over the body. Current cancer therapies have terrible side effects and aren’t always effective. And with things like radiotherapy and chemotherapy, the number of treatments one needs to endure makes side effects progressively worse over time. A new technique developed by researchers at Stanford University uses two agents which when combined, alert the body’s immune system to the presence of cancer, in order to eliminate it. Just one injection can be effective for a solid tumor. Such a targeted approach could limit nasty side effects and may even be more effective than current therapies. These results were published in the journal Science Translational Medicine. Dr. Ronald Levy was the study’s senior author. He told Medical News Daily, "When we use these two agents together, we see the elimination of tumors all over the body." Dr. Levy and colleagues injected minute levels of two “immune-stimulating agents”, into malignant solid tumors in mice. The most remarkable thing is that it treated not only the tumor it was injected into, but distant malignancies at other locations inside the body. Researchers believe it’ll be able to treat all different kinds of cancer. Using T-cells to kill cancer has long been a driving focus of immunotherapy. Although T-cells already have incredibly powerful cancer-fighting properties, cancer cells have certain “tricks” to circumvent them, until they’ve multiplied enough to overwhelm the immune system entirely. Immunotherapy seeks to boost the immune systems capabilities, in order for it to recognize the cancer and neutralize it. Clinical trials are currently underway, to see if the same effect occurs in humans. 15 patients, all with low-grade lymphoma, are taking part. Those with this particular type of cancer were selected because lymphoma is essentially a disease of the immune system and so, should show the strongest response to the therapy. There are several different immunotherapy approaches in use today. Some activate the immune system everywhere in the body. Others remove the patient’s own immune cells and genetically engineer them to kill cancer. And others still turn off switches in immune cells which limit their cancer fighting abilities. The drawbacks are that many of these experimental therapies are expensive or time consuming, or cause terrible side effects. According to Dr. Levy, “This approach bypasses the need to identify tumor-specific immune targets and doesn’t require wholesale activation of the immune system or customization of a patient’s immune cells.” The dual injection includes just one microgram (one-millionth of a gram) of each substance. The makeup of the injection includes a short, synthetic piece of DNA called CpG oligonucleotide. This binds to the receptor OX40, found on the surface of T-cells. The other is an antibody which binds to a T-cell and activates it. Once they make short work of the tumor, these energized T-cells travel elsewhere throughout the body, eliminating all of the same kind of cancer cells. To test out the treatment, researchers injected 90 mice who had lymphoma with the mixture. 87 out of 90 became completely cancer-free. When tumors did recur in the remaining three, a second injection eliminated them completely, with no further recurrence. Mouse models with breast, skin, and colon cancer showed similar results. One stipulation, the T-cells can only target the type of cancer they first experienced. Mouse models that had lymphoma and colon cancer saw only the lymphoma eliminated. The T-cells get trained to take out a particular type of cancer, and that’s what they focus on. Should this therapy be successful in humans, Dr. Levy and colleagues foresee it being injected after the surgical removal of a solid tumor, to make sure the cancer doesn’t recur. It might even take out any budding tumors that occur due to a genetic mutation. Dr. Levy said there’s no cancer it couldn’t treat, just so long as the immune system can infiltrate it. To learn about other cutting-edge cancer treatments, click here.